Powers: Lily was exposed to an experimental Goblin serum which gave her shape shifting abilities and granted her superhuman strength. In addition to this she uses a goblin glider to fly and an assortment of horror themed weapons. Lily grew up the spoiled and pampered daughter of the affluent Bill Hollister. She eventually caught the eye of Harry Osborn son of the Green Goblin/ Norman Osborn. While they dated one night she discovered an old journal of his with the location of one of his father’s Green Goblin labs. She went there and inhaled shattered vials of a new Goblin Formula. This resulted in her mutating and developing superpowers. With her new powers she went abut assisting her father’s campaign in a variety of ways, one of which involved the death of his rival. During secret invasion she kills a Skrull and is left injured after fighting jackpot. Next she accepts Harry Osborn’s marriage proposal after she badly beat Spider-man at her fathers rally. On election day she is defeated by Harry dressed as the Green Goblin and Spider-man. Her identity is revealed on national TV and she get arrested. Norman Osborn has her released from prison after welcoming her into the family, they soon after start an affair. When next she sees Harry she breaks of the engagement telling him she’s moved on, Harry warns her his father will dispose of her when she’s outlived her usefulness. Lily next reveals to harry she is pregnant for his father and shows off a new Menace form. When Norman is imprisoned she is on the run. She eventually gives birth to a son who get’s captured and later returned to her. 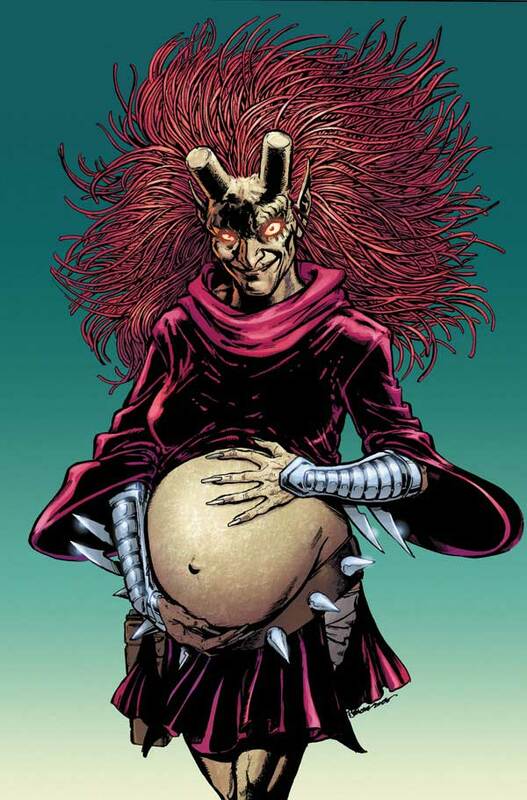 A paternity test reveals Harry Osborn is the father of her baby so she leaves the child in his care, as she fears for her safety.